Whether your reasons are your reasons are ethical, for personal health, or both, congratulations on taking a step towards improving your lifestyle. Transitioning to a vegan diet is a personal choice, and we're here to help, not judge. If you do decide to go vegan, here's the good news: Mother Earth has provided us with myriad opportunities to receive proper nourishment from a plant-based diet. 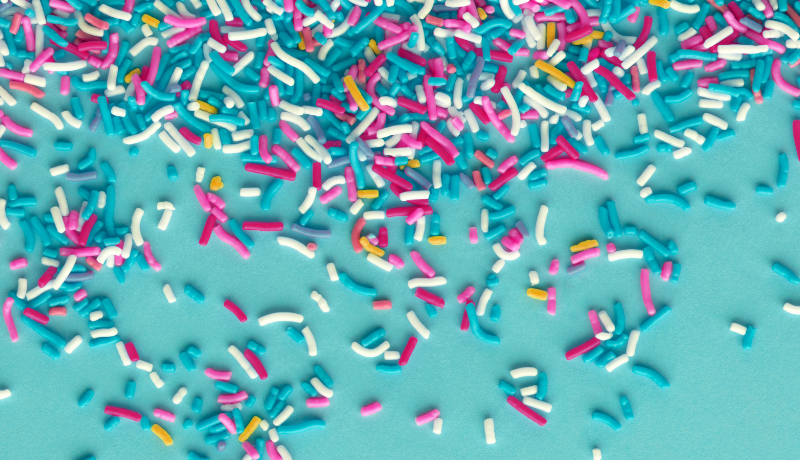 This may sounds like a no-brainer, but animal products are added to all kinds of foods that seem innocuous, and may even go by unfamiliar names. For example, confectioner's glaze on candy, honey, beeswax, L. cysteine in bread, gelatin (which is sadly in many types of candy), and whey are all ingredients that either contain animal products or rely on them for production. Learn to check the backs of labels carefully on all the products you purchase at the market, and don't be afraid to ask for a breakdown of ingredients when you visit a restaurant (politely, of course). Know your vegan vocabulary so you can identify less obvious ingredients that include animal products. Getting proper nutrition from a vegan diet is entirely possible, but takes a bit of knowledge and planning. Even athletes and bodybuilders can perform well on a vegan diet if they are getting the correct balance of nutrients, especially protein. While there are plenty of sources of vegan protein- brown rice, legumes, quinoa, soy etc, not all of them are complete proteins. A complete protein contains all 9 amino acids your body needs to function, so the key to a balanced vegan diet is consuming a diverse palette of protein-rich foods. In addition to eating wholesome, nutritious vegan foods, you may want to supplement with a high quality Vegan Protein that contains multiple sources of protein with all 9 amino acids. 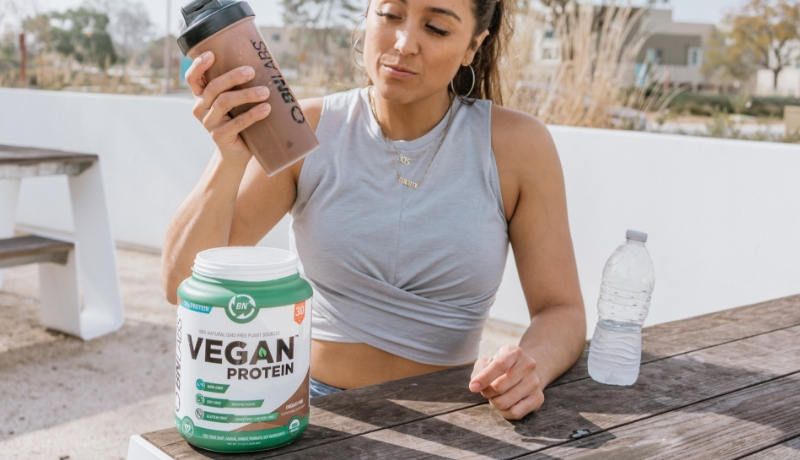 Not all vegan proteins on the market contain what For example, pea protein alone is not going to provide you with all the amino acids you need (that's why it's less expensive to purchase, generally). If you try to go from a diet full of animal products to eating salad greens for every meal, you're going to feel deprived and discouraged. 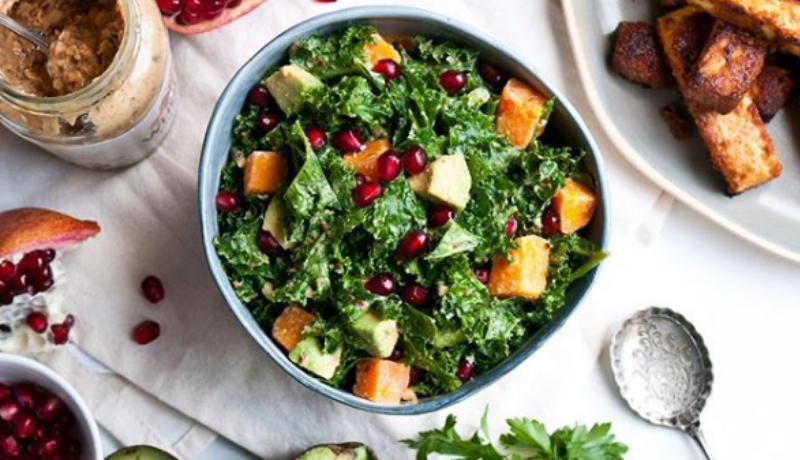 You'll have better luck adding nutritionally dense vegan foods to your diet such as a kale, quinoa, sweet potatoes, and avocados and adjusting to the way they taste and work in recipes. The idea is to crowd out other non-vegan foods by consuming more vegan foods. Start by shopping for non-dairy milks, nuts, seeds, whole grain products, and legumes, and try avoid meat replacement products. Ideally, you should be incorporating as many whole, unprocessed foods into your diet as possible. There are thousands of amazing vegan bloggers on social media these days that provide detailed instructions on how to make nutritious vegan meals, and take mouthwatering photos of their creations to prove it. Some of our favorites include The Ginger Vegan, Ela Vegan, and The Vegan Zombie. Go Shopping and Have Fun! Take the time to get to know previously unexplored parts of your grocery store, and don't be afraid to try out some new ingredients! Farmers markets can be a great place to score inexpensive, fresh seasonal produce if you have a local one. Try to buy everything as fresh as possible, and invest in some great cooking basics like high-quality olive oil, organic coconut oil, dressing-grade balsamic vinegar, sea salt, cracked pepper, and savory spices that will bring out the naturally delicious flavors in your cooking. One of the most exciting parts about making a dietary transition is learning to enjoy new flavors, textures and varieties of foods. Switching to a vegan diet will provide a lot of opportunities to have fun in the kitchen!